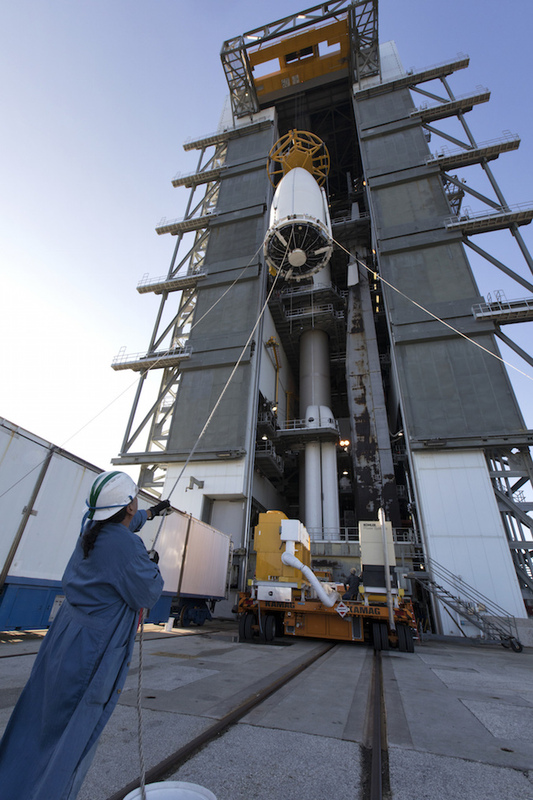 Technicians around Cape Canaveral spent the last four weeks assembling a United Launch Alliance Atlas 5 rocket and preparing a Lockheed Martin-built NOAA weather satellite for liftoff March 1. 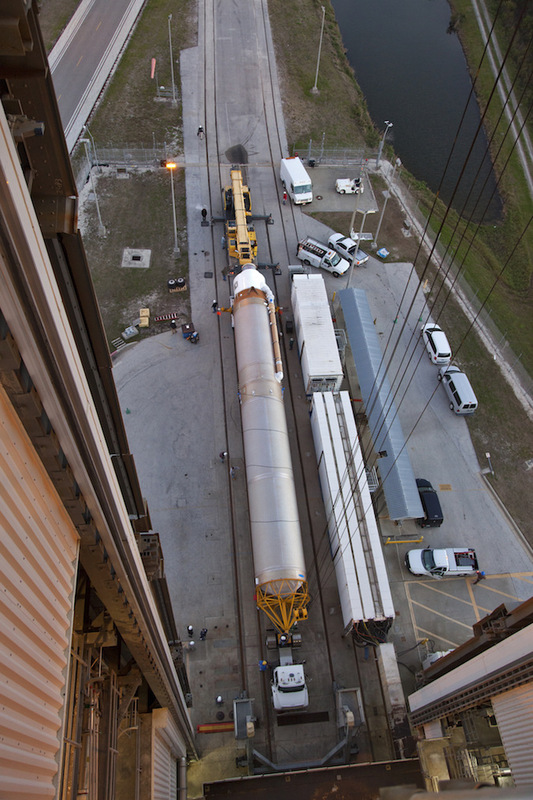 The photos on this page show the Atlas 5’s first stage, powered by a Russian-made RD-180 engine, being lifted atop a mobile platform inside ULA’s Vertical Integration Facility at the Florida spaceport Jan. 31. 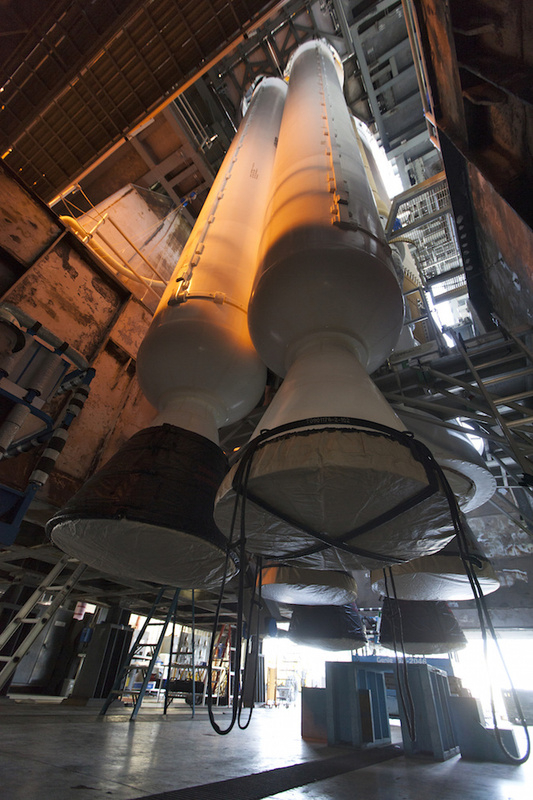 Four strap-on Aerojet Rocketdyne solid rocket boosters were later added, along with the Atlas 5’s hydrogen-fueled Centaur upper stage. 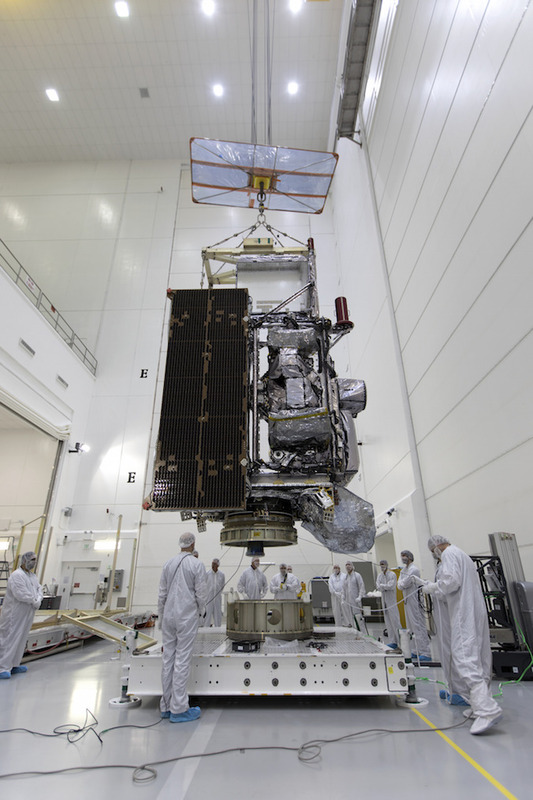 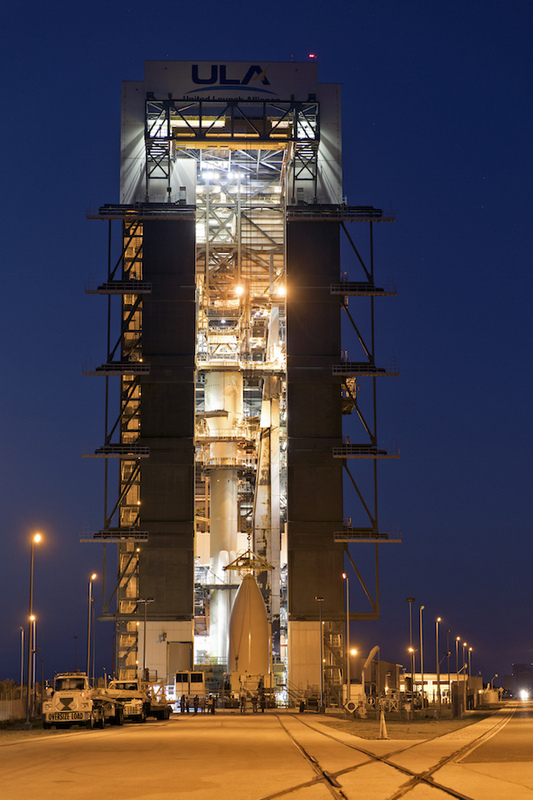 In parallel with the rocket preparations, a team of engineers and technicians at the Astrotech payload processing facility in Titusville tested and fueled the GOES-S weather satellite set for launch on the Atlas 5. 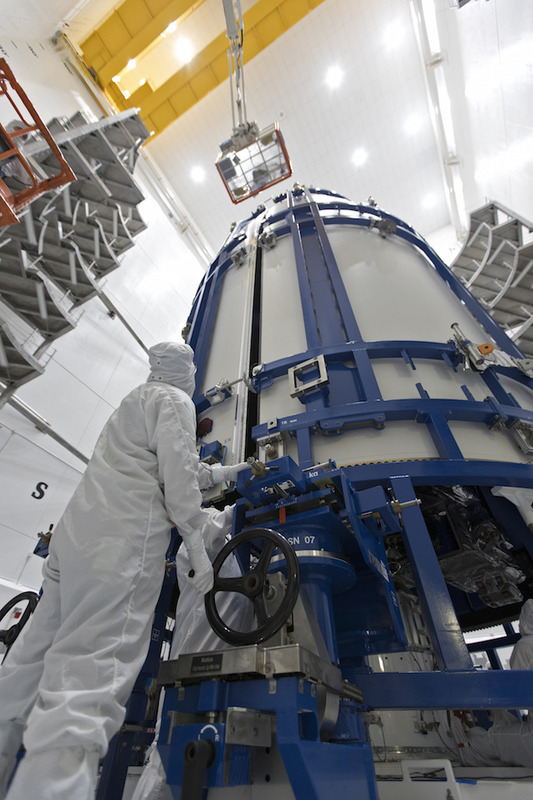 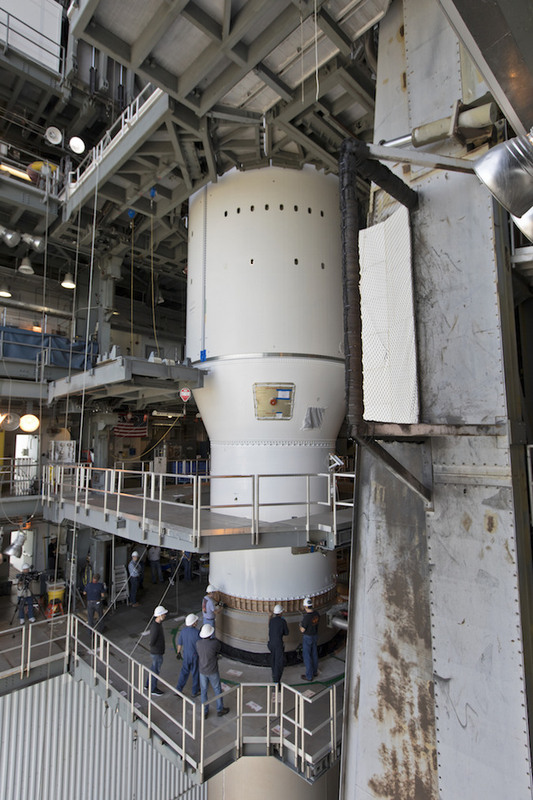 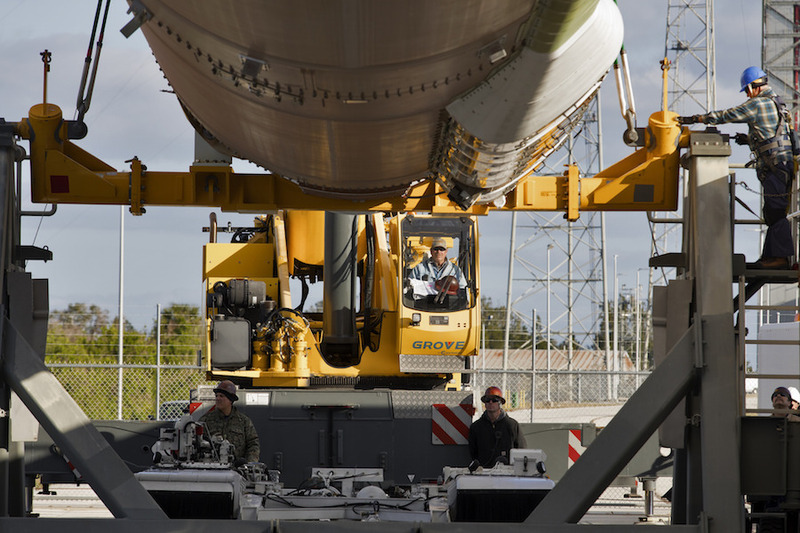 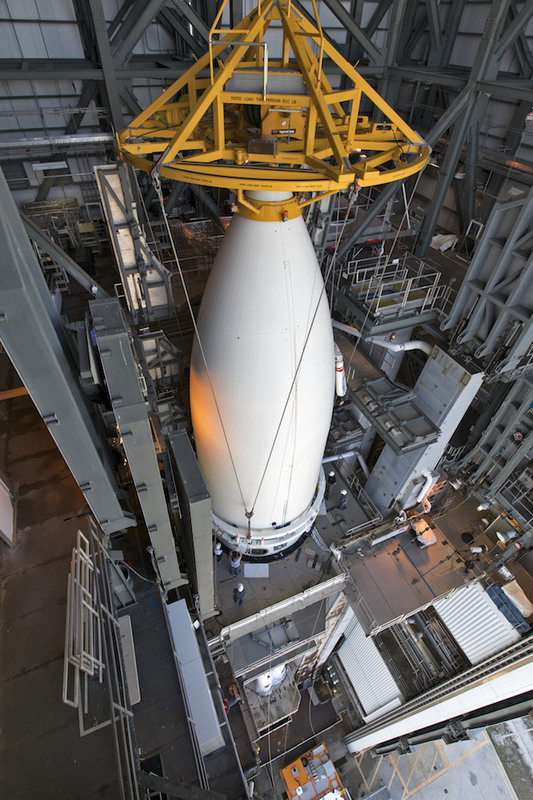 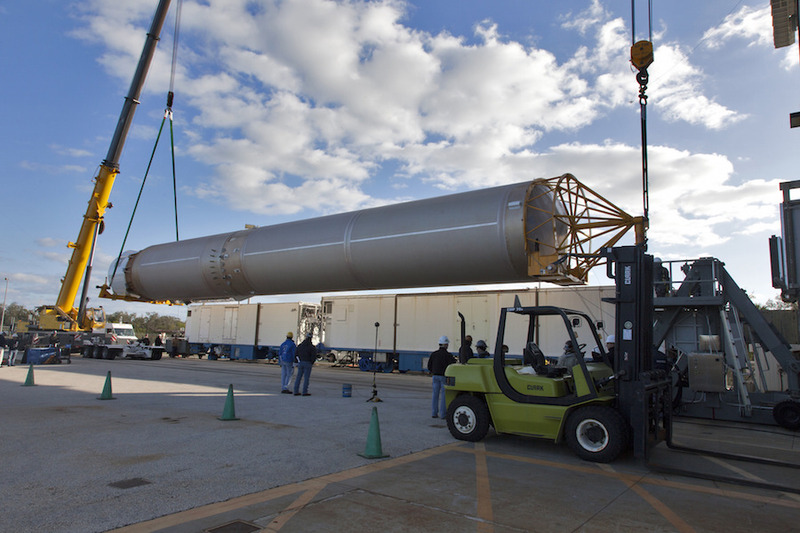 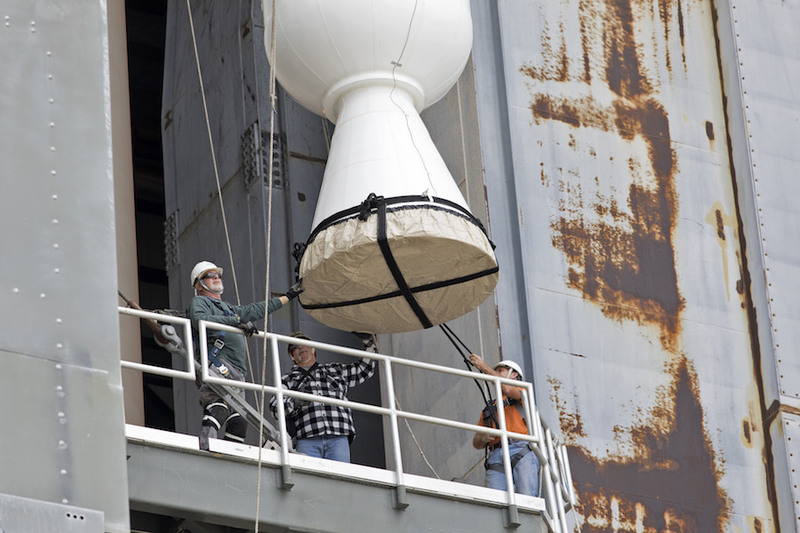 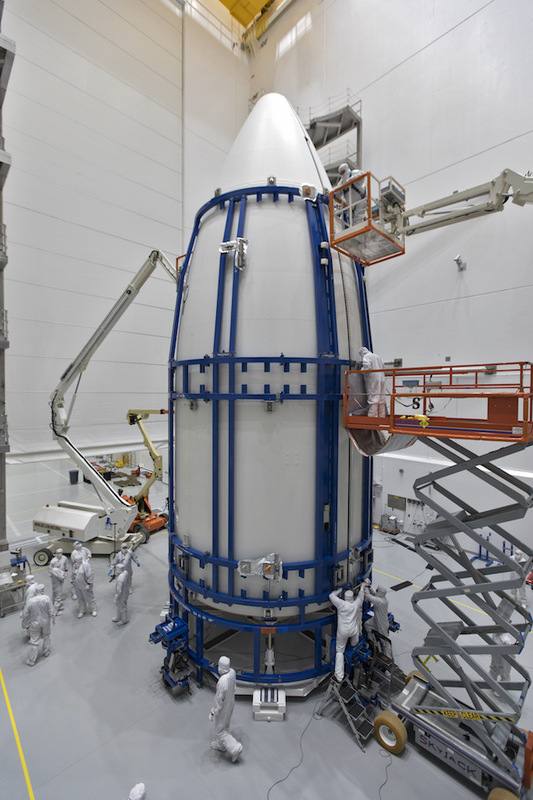 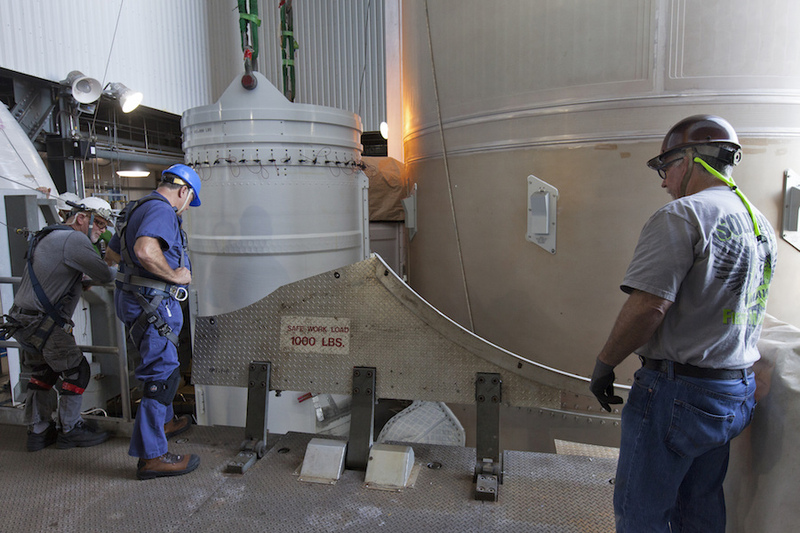 Ground crews then installed the GOES-S spacecraft on a payload attach fitting, then encapsulated the satellite inside the Atlas 5’s Swiss-made payload fairing. 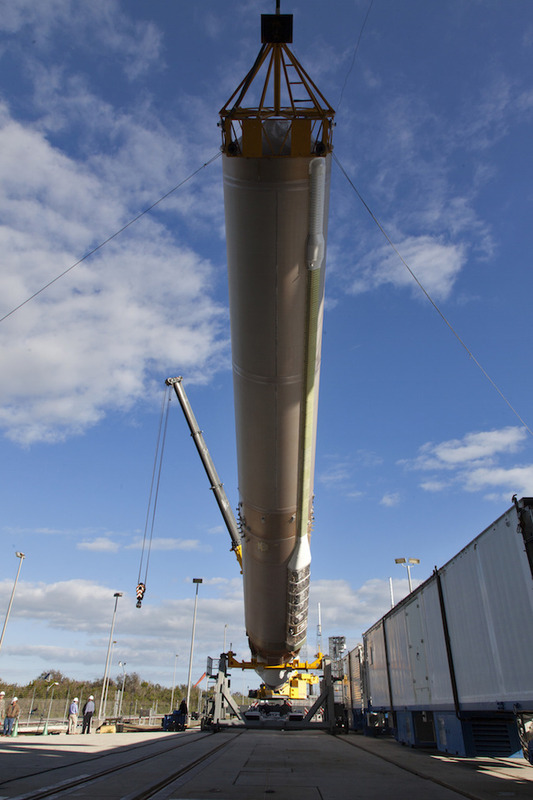 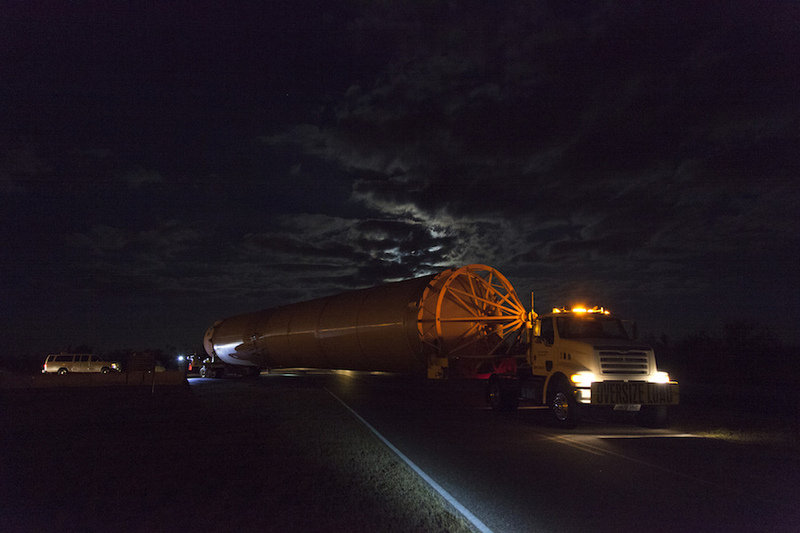 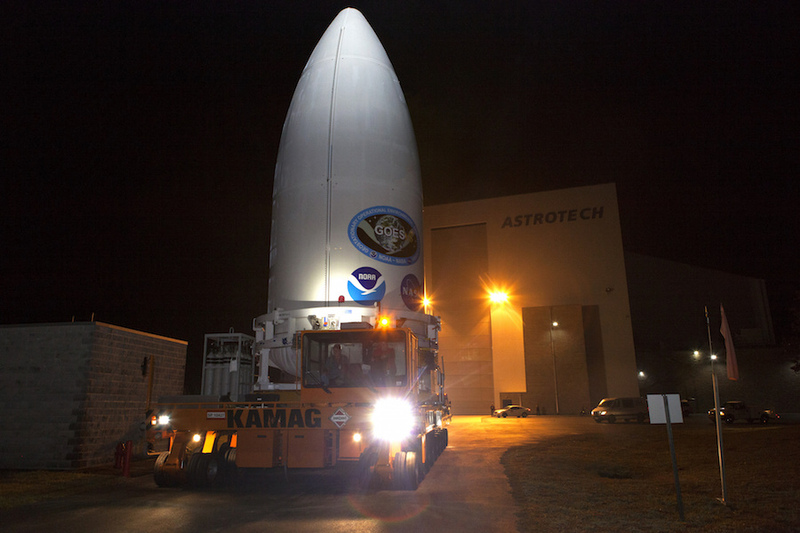 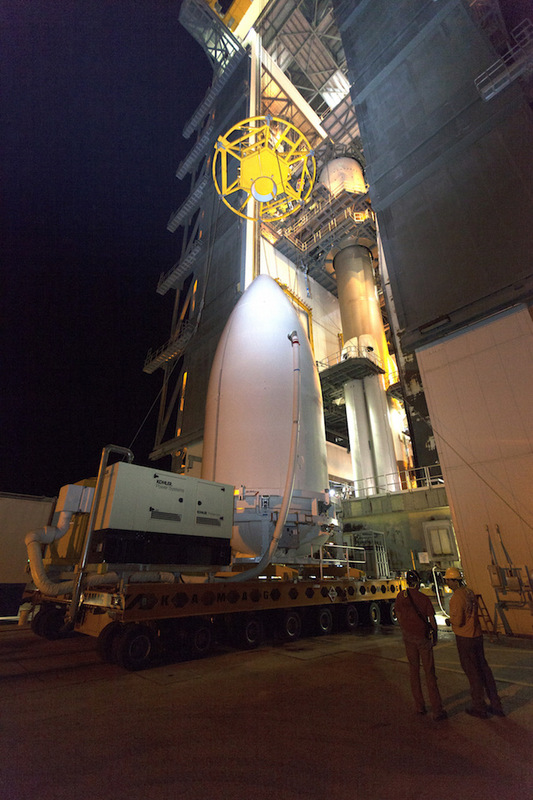 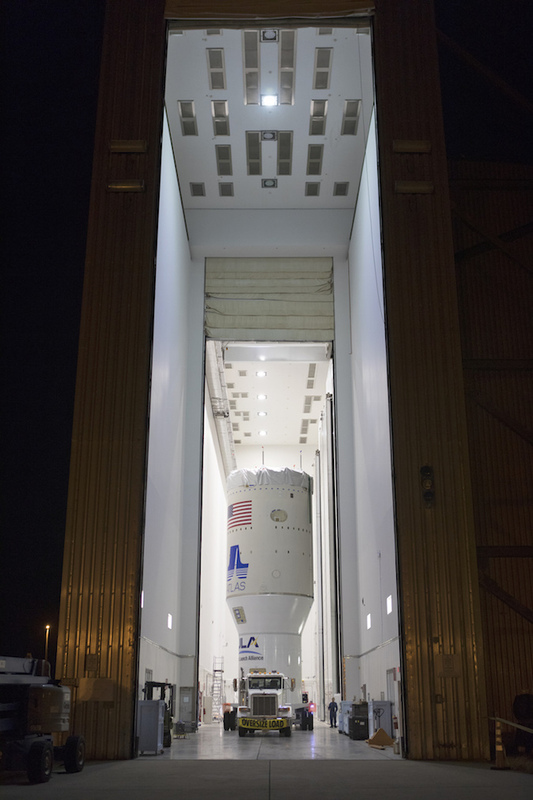 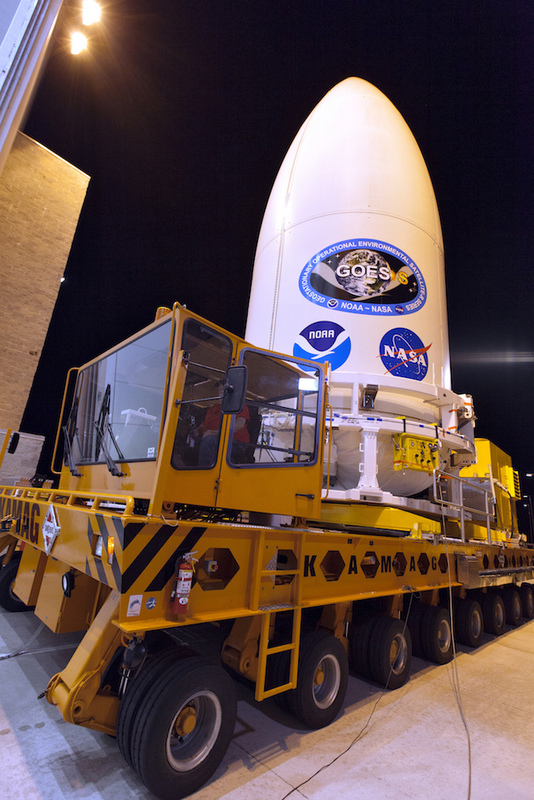 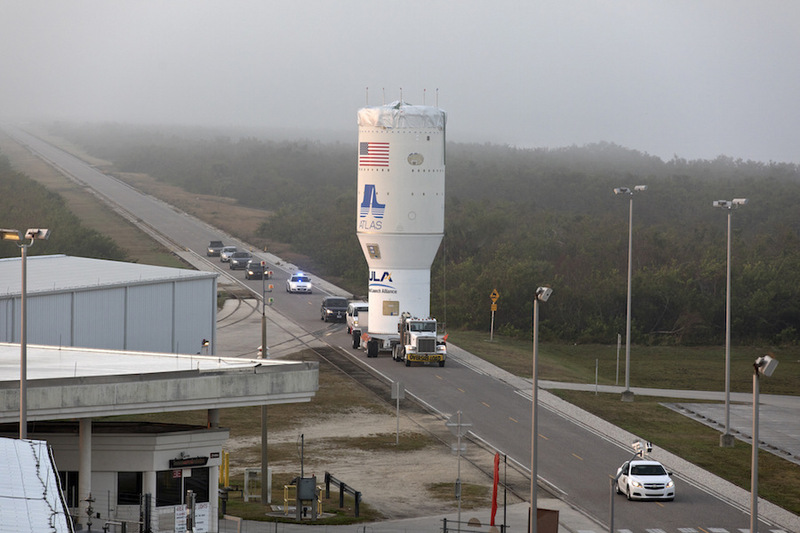 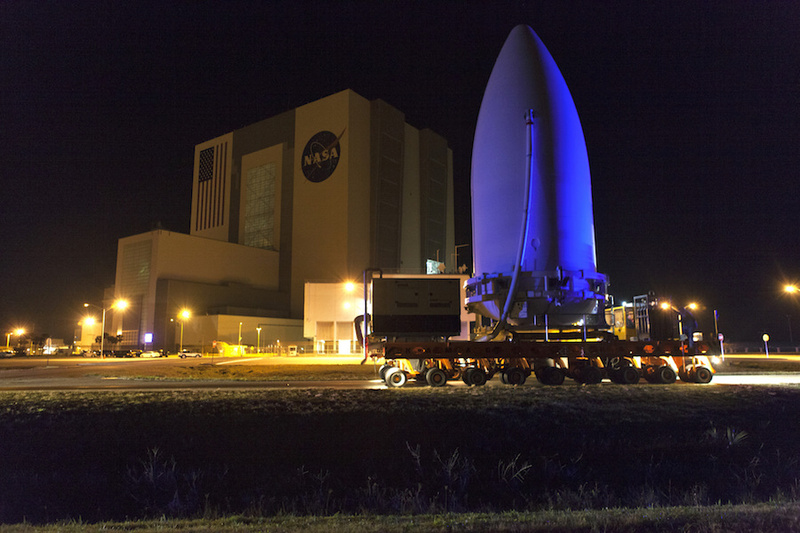 Teams then transported the GOES-S weather satellite and its payload shroud from the Astrotech facility to the Vertical Integration Facility, where they were hoisted atop the Atlas 5 on Feb. 16. 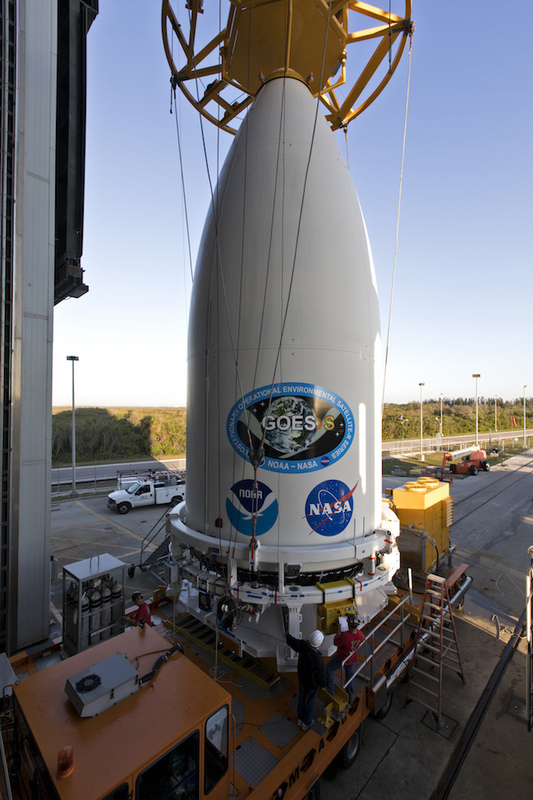 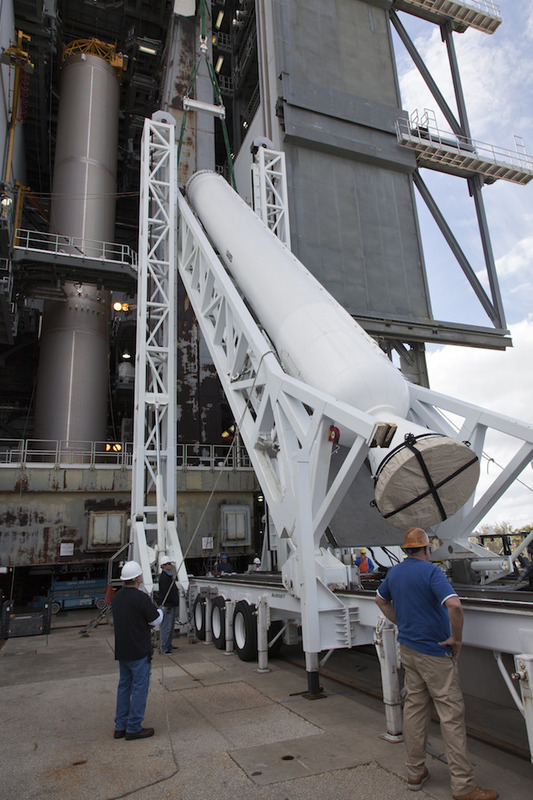 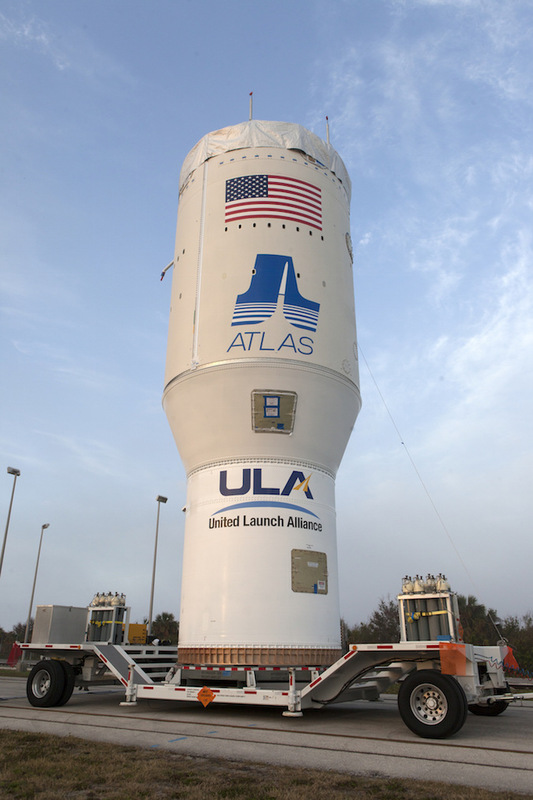 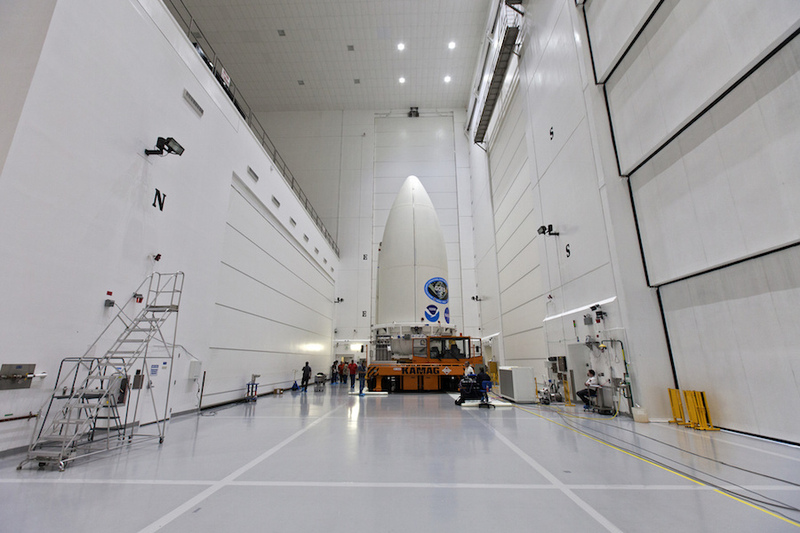 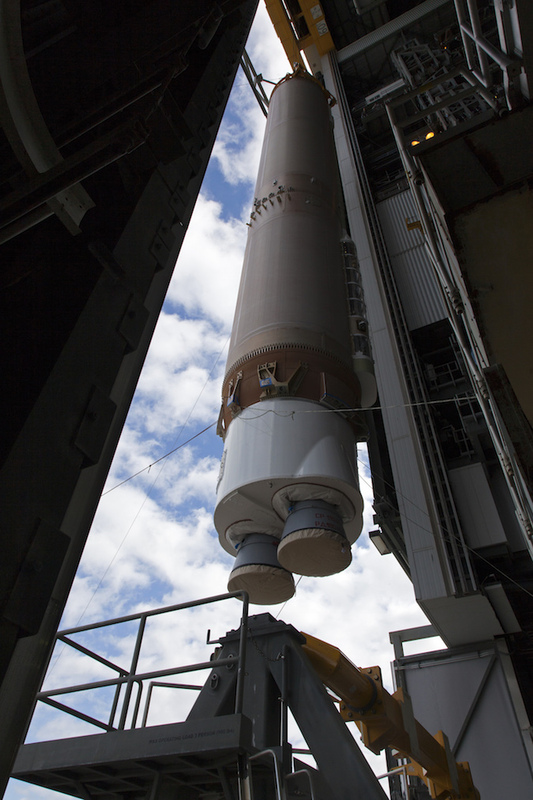 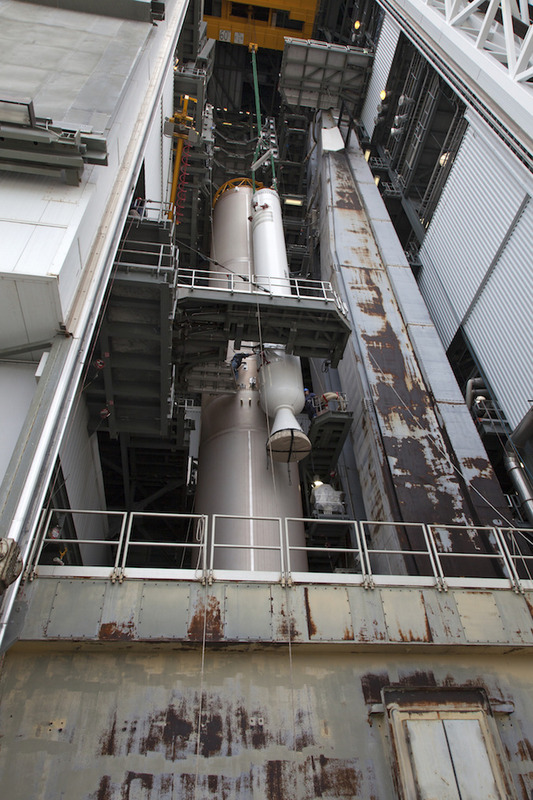 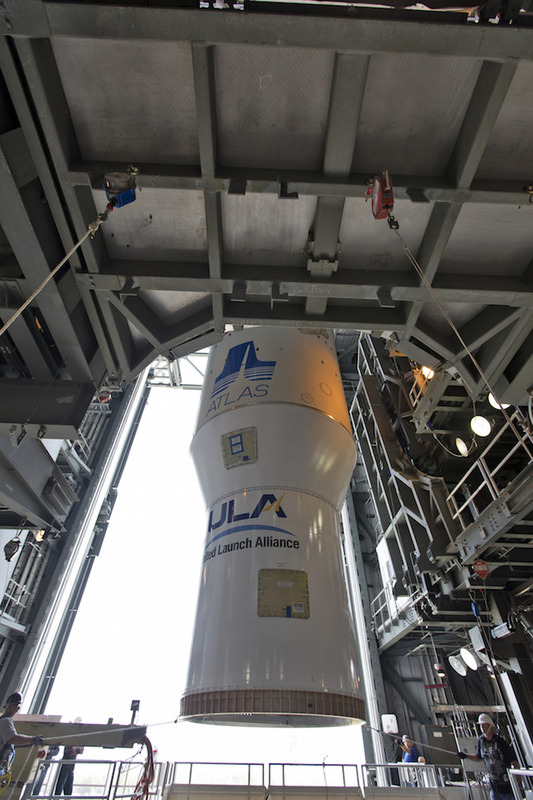 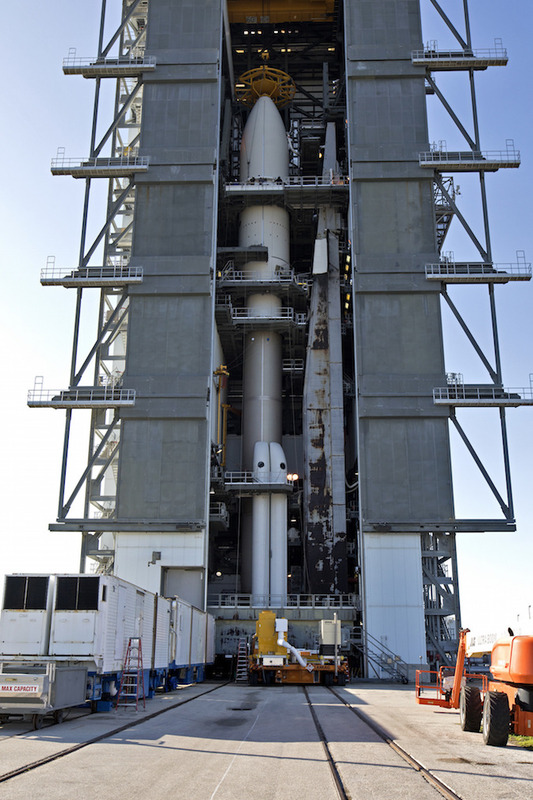 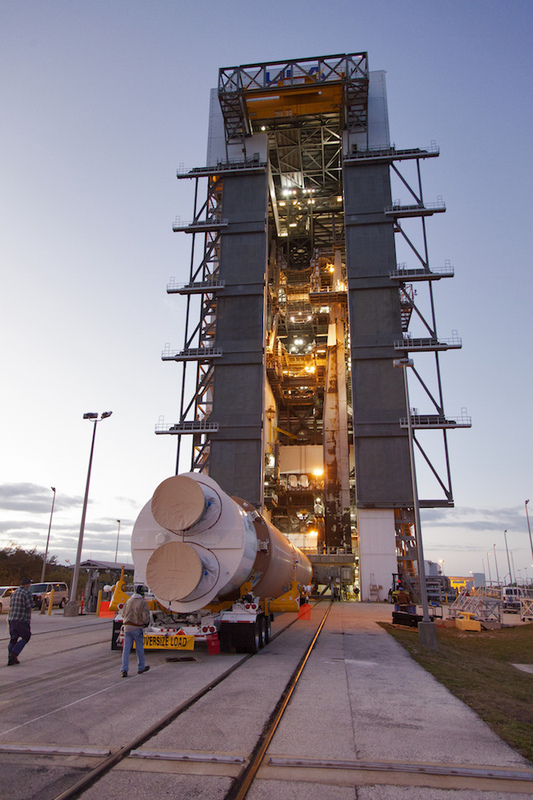 The Atlas 5 rocket is set for launch Thursday, March 1, during a two-hour window opening at 5:02 p.m. EST (2202 GMT). 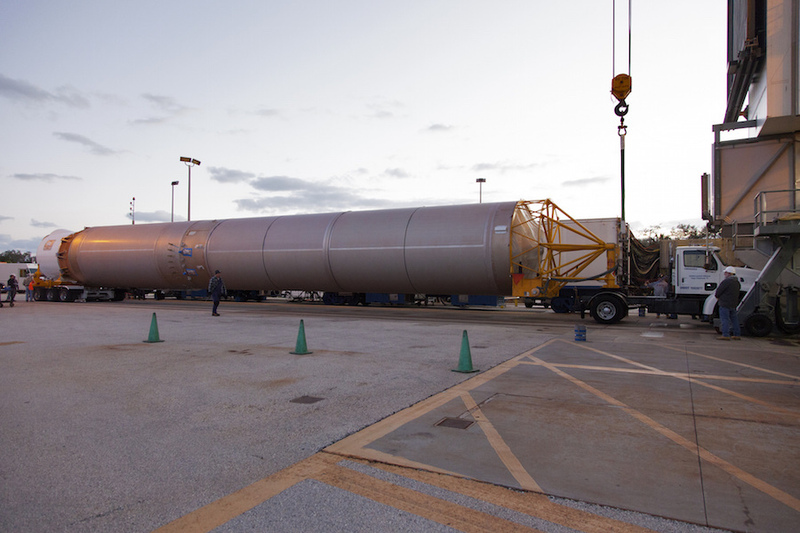 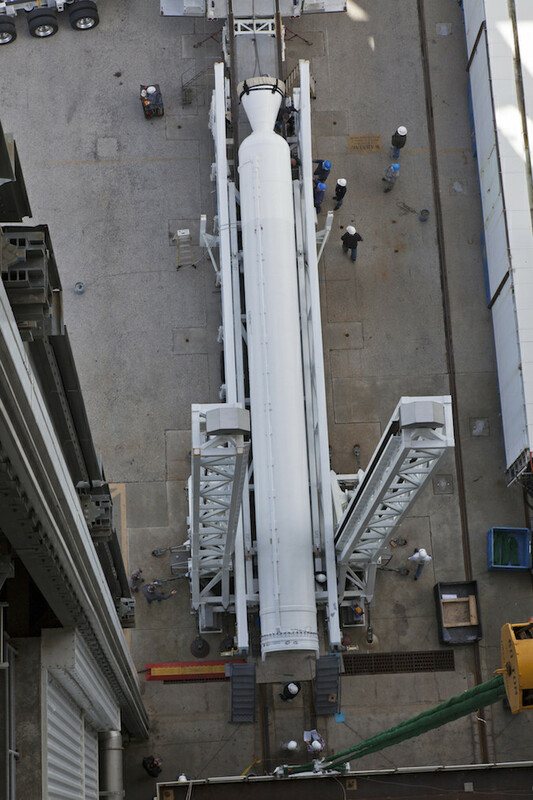 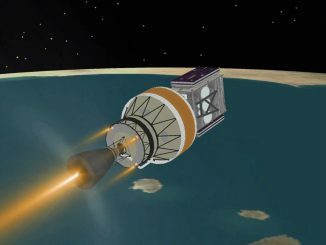 The Atlas 5 rocket will fly in the “541” configuration with four solid rocket boosters and a five-meter (17-foot) diameter fairing. 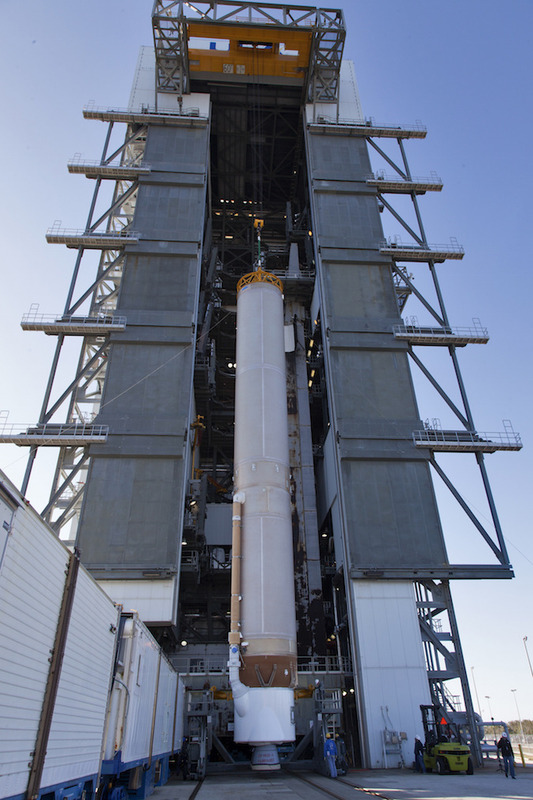 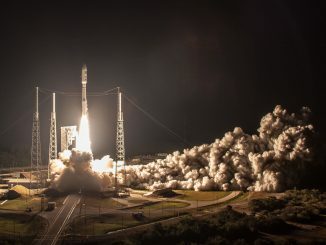 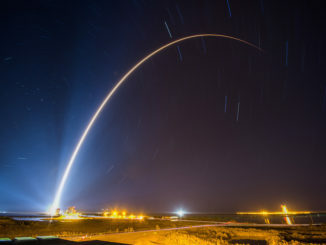 The Atlas 5-541 version has flown five times before, including three missions for the National Reconnaissance Office, one with NASA’s Curiosity Mars rover, and another with the GOES-R weather observatory, a predecessor to the GOES-S satellite launching this week. 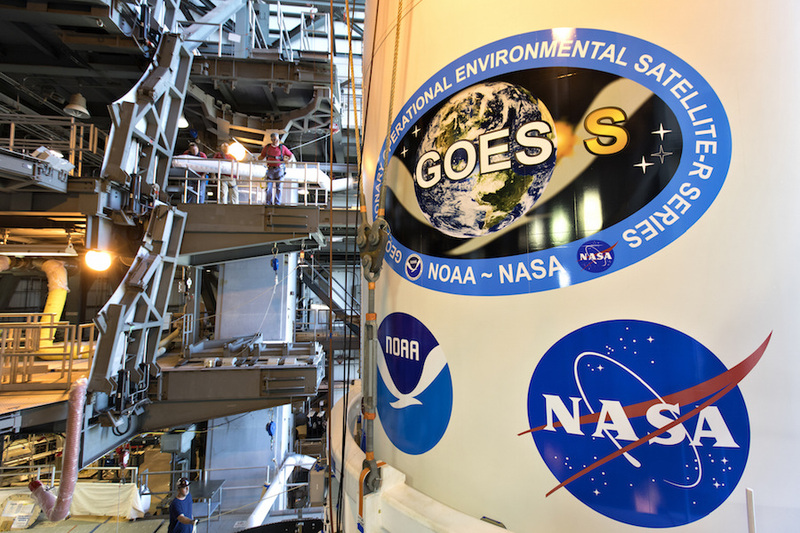 The GOES-S satellite, to be renamed GOES-17 once in orbit, will be stationed more than 22,000 miles (nearly 36,000 kilometers) over Earth’s equator. 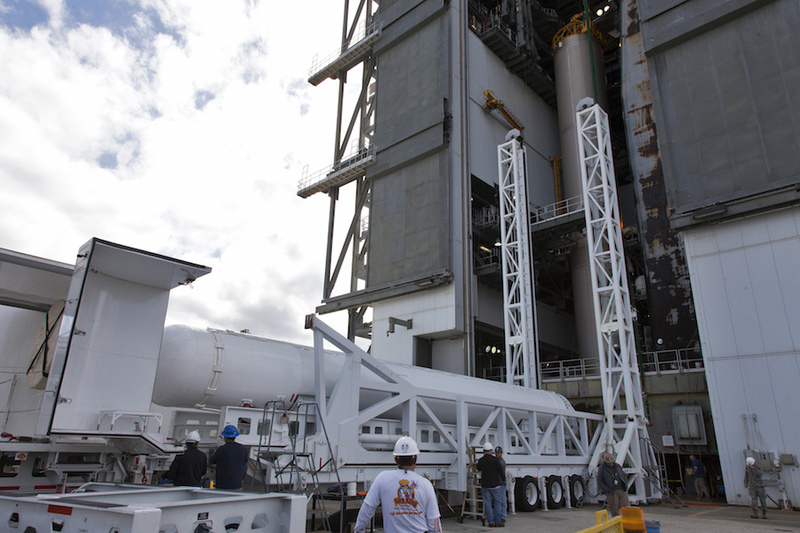 Its coverage zone will include the western United States, Alaska, Hawaii and the Pacific Ocean.